We have all been taught that the problem here is that Eve did not pay attention to the word of God, yet we likewise continue to buy into any philosophy that exalts our experience over the Word. Notice that it was Eve’s “experience” that led her astray. And much the same continues into this hour in which we live. We have been deceived into thinking that knowledge is bad and experience is the only truth. I realize that many would argue with the absoluteness of those statements, but I put them that way for a reason. The reality is that we have, indeed, bought into the New Age philosophy that truth is relative, that perception determines reality. There seems to be something within us that continually shirks any responsibility for personal holiness or righteousness. Our experience has become the sine qua non, the standard, for judging the truth of anything. And therein lies the problem we are experiencing in our so-called worship services of today. If I ‘feel’ something, it must be the Lord. Those who have observed the realities of their life for more than a day have come to realize that feelings are fleeting. They don’t last. There is nothing inherently ‘wrong’ with that, until you begin to look at the fruit. They have to go from one church to another in their pursuit of an experience. Notice that His emphasis is on their ‘personal’ experience—they ate and were filled. Yes, it is great to be a witness to a miracle, and some would say that is an experience. And so it is. However, when someone is diligently seeking a personal experience, a miracle performed on someone else’s body is vicarious at best. It cannot satisfy the longing for something personal. The vicarious experience is soon pushed to the background of one’s memory as more intense experiences are sought. When we come into the house of the Lord for worship, and our intention is on having an experience, we are offering false worship. We are not worshipping Him, but our experience of Him. The feelings produced by the music are proof of nothing. 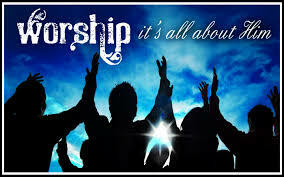 It is the transformational experience of worship which gives the proof of having been with God. Moses’ face shone as a direct result of having been in the presence of the Lord. He was transformed. We have already considered the aspects of music that can make us feel a certain way. If that is true, (and it is) is it not possible that our feelings could be manipulated by the music? Watching numerous videos of popular worship music, I see a consistent pattern emerge in each one. Seldom a reference to God, Jesus, Lord. This was a pattern with songs lasting six minutes as well as with songs lasting more than ten minutes. These were all stage performances which appeared to be at a concert venue, but some were were listed as worship service on a Sunday morning. They are, indeed spiritual songs. Spiritual songs should be a part of our repertoire. But these cannot be called worship songs, nor can they lead people into a place of worship. The people are being moved by the music only—not the presence of God. Try, as Matt Redman’s pastor did, to worship with voices only or with only one acoustical instrument, singing songs with more than just 10 words repeated for five minutes. See if you are dependent on the modern electronics capable of moving your emotions before the Holy Spirit does. Let us find the path back to the heart of worship where it is all about Jesus. God inhabits the praises of His people...those praises are about Him.